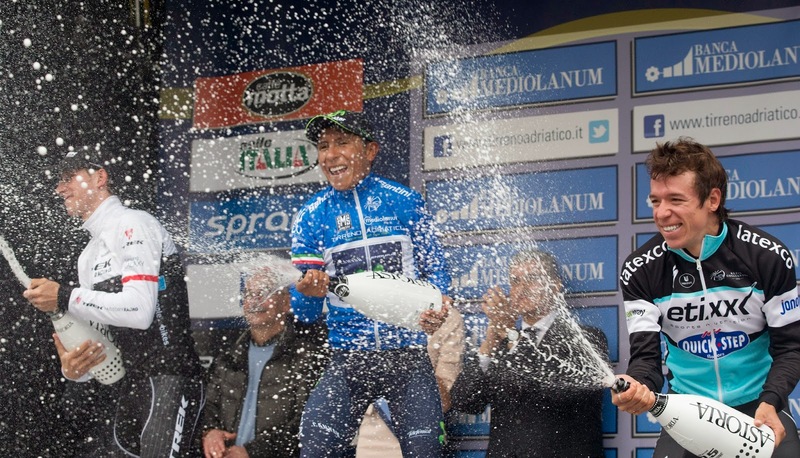 Colombia's Nairo Quintana won the 2015 Tirreno Adriatico. 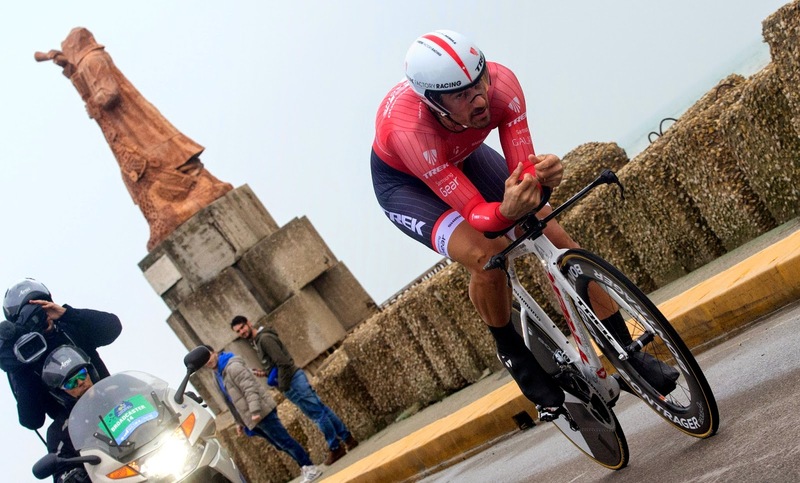 The Swiss time trial champion Fabian Cancellara took the final stage, a 10km Individual Time Trial. 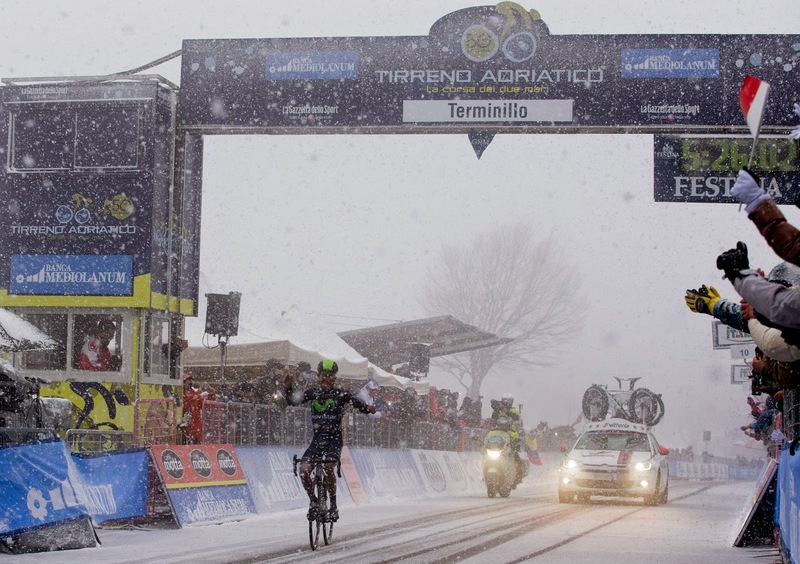 1 Nairo QUINTANA (MOVISTAR TEAM) in 25h11'16"
Quintana’s successful campaign included a dramatic stage win in the driving snow at Terminillo, and victory in the White Jersey jersey competition for Young Riders born on or after 1 January 1990. The Slovakian champion Peter Sagan (TINKOFF SAXO) added victory in the Red Jersey competition to his stage win at Porto Sant’Elpidio yesterday afternoon, while Carlos Quintero (COLOMBIA) is this year’s Green Jersey winner. Terminillo: “When I remember that day, the hair stands up on the back of my neck. It was a spectacular win in enchanting surroundings. I’d have to do my homework to compile a ranking of my favorite mountain stage wins, but to beat those rivals, on a day like that, in the cold, with a nervous, twitchy peloton, and then to finish on the Terminillo in the snow, in conditions that made for wonderful photographs, was special, even if I have to say that we suffered a lot that day.